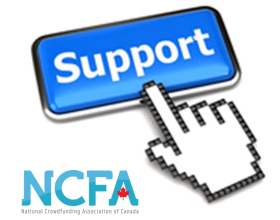 NCFA Canada advocates that a crowdfunding exemption in Canada will increase the awareness of Canadian start-ups, support innovation and entrepreneurism, create jobs and contribute to the total GDP and export base of the economy. 1. Harmonious Collaborative development The collaborative development of a harmonized set of crowdfunding regulations to benefit Canada as a whole. 2. Inclusive All sectors and industries To be as inclusive as possible to a broad-based range of sectors and industries to encourage balanced growth in communities across the country. 3. Transparent Disclosure rules and crowd intelligence Support transparent disclosure and crowd intelligence as a means to help government and industry prevent, identify and report potential fraud and abuse to authorities within a timely manner. 4. Adaptive Innovative market adaptation To ensure crowdfunding regulations support market evolution enabling innovation to flourish. 5. Robust Efficient capital formation A regulatory framework that gives SME issuers and investors (funders) the confidence that there is a robust framework in place capable of efficient capital formation, and one that is collectively supported by the eco-system. 6. Open No jurisdictional restrictions Enable a vehicle to allow businesses to accept investment (and funding) from other jurisdictions on a limited basis encouraging competiveness, collaboration and cross border participation. 7. Additive New channels and source of funds Ensure crowdfunding regulations are designed to open up largely a new source and channel of funds by minimizing the impact and overlap with existing exempt market exemptions. 8. Protective Investment caps and reasonable due diligence Protect investors by limiting investment exposure, promoting education, fraud detection and implementing a fair and reasonable amount of due diligence and compliance without overly burdening the process. 1. Would a crowdfunding exemption be useful for issuers, particularly SMEs, in raising capital? A crowdfunding exemption would allow SME issuers to raise small contributions of funds from a much larger pool of prospective investors, the general public or ‘unsophisticated investors’, in a cost effective and efficient manner. The average equity crowdfunding period from launch to completion is 60-90 days (source: Massolution Industry study 2012; 8.2 weeks), as opposed to 6-9 months in the current process. Advancements in technology allow online documents to be safely and securely stored, and deal flow history to be easily tracked adding transparency to the process. Crowdfunding allows SME issuers that are located in rural areas to raise funds from general public investors that may be concentrated around more urban and populated centres. This allows funding to reach rural communities and other non-mainstream groups, and stimulates growth and entrepreneurship in unprecedented ways. We encourage a study that compares the cost, productivity and impact of investing funds in equity crowdfunding markets (e.g., the Australian Small Scale Offerings Board [ASSOB] as a benchmark) with the current funding channels currently available to Canadian SME issuers. Crowdfunding markets are feeder systems for prospective VCs and institutional investors that prefer to invest in companies at a later stage who have a proven track record and scalable business model to offer their clients. Funding raised from crowdfunding markets will allow SMEs to strengthen their offerings and grow their businesses to a point where they then become attractive to prospective VC and institutional deal makers. Crowdfunding investors may be given the opportunity to exit their positions in the event of a significant VC deal. Crowdfunding markets would allow SME issuers to research and validate their product offerings and business models in a diverse public context, encouraging them to be more aware, competitive and ultimately create stronger business/product offerings. The feedback and research (‘crowd intelligence’) garnished from prospective investor comments and online support (e.g., like, follow) is invaluable to both entrepreneurs and prospective investors; it may drive entrepreneurs to pivot their offerings, and/or get VCs who are tracking early progress and traction, to sit up and take notice. Crowd intelligence combined with modern fraud detection algorithms, and defined processes, will also help to detect and reduce occurrences of fraud. Pre-ordering models can be combined with equity crowdfunding frameworks that allow SME issuers to start collecting pre-orders before production of a product, service or solution has started. This will serve to bolster confidence for entrepreneurs and investors alike, and encourage both manufacturing and distribution planning activities. Once committed, investors will contribute to the success of their investment. 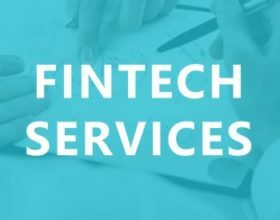 In addition to providing funding, crowd investors become avid supporters, marketing representatives and connectors that reach out to their private networks and make warm introductions on behalf of SME issuers. SME issuers will also benefit from social media marketing and the recognition inherent in the crowdfunding process. SME issuers that undertake the arduous task of preparing, managing and executing a successful campaign in public crowdfunding markets will benefit from the organizational due diligence and relentless focus required to participate in such an offering. 2. Have we recognized the potential benefits of this exemption for investors? A crowdfunding exemption would give Ontarians the opportunity to participate in a much broader scope of exempt market investment opportunities including early stage start-ups that are currently restricted to accredited investors (only 4% of the Ontario public). Investors will be able to participate with very minimal investment requirements (e.g., $100). Investors will be able to diversify their portfolio, in a self-directed manner, and have much more control over their investment decisions at a local level. This allows investors to bypass the traditionally disconnect that commonly exists between the needs and preferences of large public companies versus small individual public investors. Investors will have the ability to choose an online crowdfunding portal that best suits their interests (e.g., industry or product niche) and appetite for financial risk versus return by spreading small amounts of capital across a number of preferred crowdfunding investments. Attributable to the advancements of technology, crowdfunding frameworks have the potential to standardize, professionalize and streamline communications and interactions between investors and SME issuers using tried and tested online tools, such as encrypted documents, digital signatures, webinars, online templates, collaborative information sharing forums, multi-media, group polling, analytical tracking, measurement, and advanced reporting. For example, crowdfunding would help streamline and formalize the often inefficient “Friends and Family” raise. Investors that choose to support local community businesses will potentially receive double or triple the returns on their investment (e.g., ROI + Social Impact Returns). The concept has been referred to as `locavesting`. Investing in local community businesses through crowdfunding will directly and/or indirectly impact the social and economic value of the geographic area that investors choose to support. Investors will also expand and strengthen their local area connections, some of which may result in long lasting ‘win-win’ relationships that are carried forward. Another major benefit for investors is the ability to connect directly with the project founders/creators and participate in the creative process by providing valuable feedback and research. For many unaccredited investors, this interaction and sense of community involvement with like-minded ‘arm chair’ investors and/or entrepreneurs is a source of positive engagement. By participating in crowdfunding investments, investors may be encouraged to launch their own entrepreneurial pursuits, which positively affects the ‘big picture’ by stimulating creativity, innovation, confidence and the economy. “Investors today, entrepreneurs tomorrow”. 3. What would motivate an investor to make an investment through crowdfunding? Investor motivations can be categorized into Market Motivators and Portal and Campaign Motivators. Market motivators can be further broken down into financial and non-financial rewards. While non-financial rewards may be difficult to quantity, there has been a lot of research and traction indicating that they have a significant impact in motivating investors to make an investment through crowdfunding. ROI: Access to a wide range of investment options and the ability to participate in these investments on an ownership level in exchange for potential financial gain (loss). TFSA and RRSP Eligible: allow investors to participate in crowdfunding exemptions from qualifying TFSA and RRSP accounts. TFSA/RRSP sourced funds could represent a portion (e.g., 50%) of an investor’s annual 12 month aggregate investor limit. Product: Access to early stage innovative products that may never be available in traditional market channels. Social Impact: Some investors participate because they are interested in supporting a cause and affecting change in their lives and communities (e.g., environment or affordable housing). Socially motivated investors often support a project because they want to contribute to the solution (not the problem). Crowdfunding could be the catalyst for mobilizing private capital for public good in magnitudes never seen before. Empowerment (Range): Crowdfunding empowers citizens to directly address issues that are meaningful to them that may become part of the solution to many of the problems facing Canadian society as a whole. The cumulative transactional history of a portal, such as number of issues, success rate and ROI will be a key determinant in motivating new prospective investors to participate. Repeating history is not guaranteed and all investments come with varying levels of risk. Beyond the standard portal due diligence, investors must perform their own analysis to select good investments from the bad. Leadership teams and board/advisory (as applicable) have demonstrated experience and the appropriate qualifications to execute the proposed business plans. SME issuers that provide clear intent to either go public or have a substantial portion of the shares acquired by a Venture Capital firm is a strong investor motivator. Market signals such as the participation of a large number of investors in a specific issue will influence investment trends. SME issuers that provide regular company updates and communications with prospective investors is a way to track progress and traction over time (e.g., compare forecast with history). Criminal background and identify checks should be conducted for directors and management of SME issuers and portals. Having an existing business in place with a minimum viable product or prototype. This gives investors’ confidence in management’s ability to plan and execute. A clear representation of the business model and vision, such as use of proceeds, product/service offerings, production costs, revenue forecasts, risk disclosure (and mitigation). A clear statement of funding plans including other planned sources of funding including debt (e.g., against company assets), future funding needs. SMEs that retain as much equity as possible is a positive indicator to prospective investors that they expect future cash flow from the business that they are launching or operating. A representation of how the issuer plans to return investment funds plus net proceeds back to investors so that they can realize a return on their investment. A clear statement of crowdfunding shareholder voting entitlements and/or restrictions. For example, what issues can the crowd vote on? Can investors assign a proxy? Are investors required to nominate a single trustee to act in the best interests of the crowd, and if so, are there any restrictions? A clear statement of the circumstances in which the investors can transfer/sell their shares. 4. Can investor protection concerns associated with crowdfunding be addressed, and if so, how? Statutory declarations are used in other forums including the insurance industry to protect against fraud. In some cases, the purpose of a declaration is to make it easier to convict or successfully bring a civil suit for perjury (lying under oath in a sworn statement) or misrepresentation as opposed to obtaining a judgment for criminal or civil fraud. In the crowdfunding context, management/directors/sponsors of SME issuers, portals and investors must not submit false or misleading representations (including representations via social media). There must be clear statutory remedies for crowd investors including restitution of benefits and monies paid by investors as a result of wilful misrepresentations, fraud or, as above, lying under oath in a statutory declaration. The OSC or an equivalent industry supported regulatory organization should be entitled to conduct a reasonable number of spot audits annually of portals and issuers with an obligation to report and address any suspicions of fraud to the appropriate authorities. Industry best practices and standards need to be developed and offered to all crowdfunding participants by way of online media including tutorials, videos, podcasts, articles and whitepapers. Industry associations and financial and academic institutions should offer industry recognized non-mandatory courses to those interested in pursuing crowdfunding education via course work. Portals should provide robust FAQs (how to’s) and administer purchase risk acknowledgement forms in a clear and transparent manner. Criminal background and identify checks should be conducted for directors and management of SME issuers and portals (if appropriate for the circumstance and not overly burdensome or expensive for participants). Investors should have access to a reasonable amount of information pertaining to the investment allowing them to make a suitable decision to participate in the offering or not, without being overly burdensome to the process at hand. Whether by way of a shareholders’ agreement or OSC rules, there should be restrictions or regulations on the company’s founders, management and directors from competing in the same line of business during and for a reasonable time after their employment. Investors will lose faith and confidence in the process if management and founders abandon the company and compete with them. Collectively, the eco-system needs to ensure that fraud is swiftly detected and the appropriate deterrents are in place. Industry should support a self-regulating environment that allows crowd intelligence to play a significant role in the fraud detection process using advanced algorithms and practices in research/beta today. A centralized shared database could be established to track and protect the interests of the entire industry from potential cases of fraud and abuse. All occurrences of fraud and potential red flags could be stored and cross referenced, protecting the reputation of regulators, portal operators, service providers and investors associated with crowdfunding industry. Portals should have a legal duty and obligation to report suspicions of fraud to the Ontario Securities Commissions or related governing body. Investors should have a statutory or rule based cause of action against portals where they knew or ought to have known of fraud or suspicious conduct that goes unreported. Investors and Portals should not be liable (civilly) (ex. for slander) for reporting suspicions of fraud to the OSC for further investigation. Successfully funded SME issuers should provide shareholders with an annual snapshot of unaudited financial statements, and brief business update summarizing historical performance and future plans. Issuers should also be responsible for maintaining the company’s basic share registry information once this information has been received from a facilitating portal or qualifying third party service provider. Limiting unsophisticated investors to an aggregate cap of $10,000 to $20,000 per 12 month calendar period is the simplest and most effective way to protect investors. While third party escrow and payment solution providers should be allowed to facilitate payment transactions, portals should be restricted from accepting direct credit card purchases. Funds should be held in a third party escrow account and only released if the full funding target is achieved (and minimal cooling off period surpassed) with a maximum of 25% subscription overrun allowed before the offering is closed. 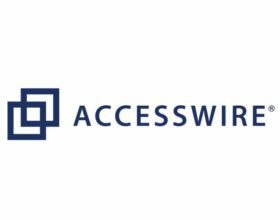 Portals wishing to provide escrow account services must meet the qualifications of a compliant escrow account services provider. A cooling off period that allows investors a two business day right of withdrawal from the date of their investment decision. Portals must ensure escrow payment services implement and administer these rules. Note: any gaming of the system to artificially inflate purchases needs to be monitored and addressed accordingly. Applicable withdrawal fees should be allowed (e.g., chargeable to the purchaser to cover expenses). The process for certifying a class proceeding in Ontario is quite complex and expensive. Any dispute or individual claim arising from an investment would not be large enough to warrant independent legal action. However, a claim on behalf of all, or a group of investors may warrant legal action. The crowdfunding model would greatly benefit from a streamlined template (e.g., shareholders agreement) or legislation to the effect that all disputes be settled by way of private arbitration and expressly allow for investors to commence arbitration as a class. The Australian sponsorship crowdfunding model was reviewed in a research paper that analyzes ‘equity signals in crowdfunding’ on a world leading equity crowdfunding portal called The Australian Small Scale Offerings Board (ASSOB). The self-imposed sponsorship model requires that all SME issuers participating on the ASSOB platform must engage at least one sponsor or professional business advisor, such as an accountants, corporate advisor, business consultant, financial broker, or lawyer, prior to getting listed on the portal. Sponsors assist entrepreneurs to prepare a set of online offering documents that follow a similar structure: 1) key investment highlights, 2) milestones achieved to date, 3) letter from the managing director, 4) business model, 5) market analysis, 6) financial projections, 7) purpose of the capital-raising, 8) offering details, 9) ownership structure, and 10) descriptions of the management team and external board members. Sponsors generally receive a mix of cash and ‘sweat equity’ for their services. They vet all companies seeking to get listed on the ASSOB portal, and give investors the confidence and information that they seek to make an effective investment decision. 5. What measures, if any, would be the most effective at reducing the risk of potential abuse and fraud? 6. Are there concerns with retail investors making investments that are illiquid with very limited options for monetizing their investments? Yes, although with clear direction from the OSC and support from SME issuers and the eco-system, many of the expected and related issues can be reduced and/or managed. Investors need to be aware of the risks associated with investing in crowdfunding securities. Collectively, the industry, government, academia and relevant associations must come together to promote awareness in this regard and provide some forms of non-mandatory investor education. Portals should be encouraged to provide educational tutorials and robust FAQs. Investors must spend time to educate themselves (caveat emptor) and understand the risks involved prior to purchasing crowdfunding securities. Investors should be required to formally and explicitly acknowledge the high risk nature of the investment, limited liquidity and their ability to withstand the possibility of losing some or all of their investment. SME issuers that have a transparent and clear investor liquidity plan will benefit by providing a strong positive signal to prospective investors. Under the US Jobs Act there is a moratorium on transferring shares within one year from the date of issuance, unless the transfer is to an accredited investor or back to the company. Can crowd investors take security on their shares or otherwise encumber their shares? Can the company buy back the shares, if so, on what terms and how will they be valued? Will secondary market trading be permitted? If so, what limitations will be placed on secondary market trading? 7. Are there concerns with SMEs that are not reporting issuers having a larger number of security holders? Yes, however there are possible solutions for the OSC to explore that could deal with this issue effectively. While there will be exceptions, a standardized shareholder’s agreement would streamline communications, reporting and decision making processes fundamental to the business. SME issuers can use technology to inform, educate and distribute regular updates to crowdfunding shareholders rather than rely on expensive hard copy mail-outs. Companies that establish a regular line of communication with their shareholders will also benefit from their consistent feedback. Online polling/voting platforms can be used to facilitate key business decision making allowing issuers to fulfill their obligations to shareholders in an efficient and cost effective manner. Trustee: One option the OSC may wish to explore is having one individual be appointed to act as the trustee or proxy for all shareholders and their votes with crowd shareholders agreeing to the appointment of the trustee in advance of investing. Non-Voting Class: Another option may be to have crowd shares issued as a separate non-voting class. Voting Rights: There are certain management functions which investors, or a designated proxy representing a group of shareholders, should always be entitled to vote on at shareholder meetings including those set out in the Ontario Business Corporations Act. Other matters crowd investors should be entitled to vote on may include voluntary winding up and substantial changes to the nature of the business. Other Considerations: The OSC will have to address how or whether it will ensure shareholders do not encumber their shares, how to account for share transfers, and Family Law matters. For example, where an individual who owns shares is divorced or insolvent and his shares become the subject of divorce or insolvency proceedings. How or can the individual’s shares be transferred to creditors or spouses? 8. If we determine that crowdfunding may be appropriate for our market, should we consider introducing it on a trial or limited basis? For example, should we consider introducing it for a particular industry sector, for a limited time period or through a specified portal? Yes, it would be beneficial to conduct a pilot project to experiment with the best structure, regulations, rules and/or agreements to be entered. The OSC should allow a limited number of portals to submit live exemptive relief applications, and based on their business models and specific features, allow them to operate under pilot conditions for a suitable trial period (e.g., 2 years). The trial period should be long enough to ensure sufficient time is budgeted to work through any implementation challenges and that pilot participants are given a fair chance to develop their respective operating models and recoup their pilot investments. Clearly defined pilot project goals and milestones should be defined, such that all parties understand their level of participation and risk/reward. In principle, effort should be made to allow a wide range of portal and service provider operators to participate in the pilot to best replicate the potential of the emerging industry. Investment caps should closely emulate the crowdfunding exemption rules being tested. SME issuers should be limited to raising between $1,500,000 and $2,000,000 in a 12 month calendar period. Investors should be limited to investing between $10,000 and $20,000 in a 12 month calendar period. 9. Should there be a limit on the amount of capital that can be raised under this exemption? If so, what should the limit be? Yes, we feel that a suitable aggregate limit of capital that an SME issue should be allowed to raise under a crowdfunding exemption in any 12 month calendar period is between $1,500,000 and $2,000,000. From various conversations and extrapolated from our survey data results, we recognize that the funding gap exists for many types and sizes and businesses. Over time, it is possible to conceive crowdfunding as a source of capital for many types of issuers and not just those requiring small and limited amounts of capital. Some companies requiring more significant amounts of capital (e.g., solar projects) may be deemed unsuitable investments by more conventional funding channels (e.g., banks) yet the same company may be widely supported and considered an attractive option to a different type of investor. 10. Should issuers be required to spend the proceeds raised in Canada? No, this is too restrictive and may deter issuers from raising funds via a crowdfunding exemption in Canada. Provinces should work to harmonize crowdfunding exemption rules across the country. Ideally, Ontario SME issuers should be able to raise funds from qualifying Canadian and international investors. Issuers should be able to spend proceeds in an unrestricted way as per their operating business framework requires to remain domestically and globally competitive. 11. Should there be limits on the amount that an investor can invest under this exemption? If so, what should the limit be? Yes, we feel that a suitable aggregate limit that investors should be allowed to invest under a crowdfunding exemption in any 12 month period is between $10,000 and $20,000. 12. What information should be provided to investors at the time of sale as a condition of this exemption? Should that information be certified and by whom? Basic crowdfunding security facts about purchasing the issue and the rights and restrictions associated with the purchase. High level business plan information including use of proceeds, future funding plan and unaudited statements (managed approved), if available. 13. Should issuers that rely on this exemption be required to provide ongoing disclosure to investors? If so, what form should this disclosure take? Yes. 92.2% of survey participants agreed that issuers should provide a degree of on-going disclosure to investors after a crowdfunding offering is completed. Issuers should also be responsible for maintaining the company’s basic share registry information once this information has been received from a facilitating portal or third party service provider. 14. Should the issuer be required to provide audited financial statements to investors at the time of the sale or on an ongoing basis? Is the proposed threshold of $500,000 for requiring audited financial statements (in the case of a non-reporting issuer) appropriate? No, this is too expensive and onerous for start-ups and SME issuers. As an alternative to overly expensive audited financial statements, the OSC may wish to explore requiring SME issuers that have been operating for more than 3 years that also seek to raise in excess of $500,000 via crowdfunding markets to have their financial statements ‘reviewed’ by a qualifying sponsor (or equivalent). For example, accounting firms offer less expensive ‘review engagement reports’ that involve a level of review and ‘notice to reader’ that ensure the financial statements comply with standard accounting principles allowing third parties to review and interpret the statements independent of a full audit. The financial industry and crowdfunding service providers should develop affordable products that meet the needs of crowdfunding SME issuers and the basic disclosure and reporting requirements that may be expected of them by prospective investors and regulating organizations. 15. Should rights and protections, such as anti-dilution protection, tag-along rights and pre-emptive rights, be provided to shareholders? These rights and protections should applied at the discretion of the issuer, which may be used to differentiate their offering in the market place while considering the additional costs to administer. 16 A. 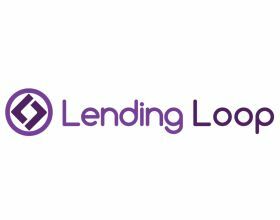 What obligations should a funding portal have? A number of portal obligations should be considered, however alternative approaches should be taken where portal obligations become excessively onerous to the participation and compliance process. Portals must declare their fees and how they get paid. They should also declare who the management team, board members and advisors are in the company. Portals should be required to provide basic aggregate historical funding information, such as total funding volume by industry, on a regular basis and at a minimum to the OSC. Portals should take reasonable measures to prevent and report fraud. Portals should take reasonable measures to provide investor education and facilitate risk acknowledgement from the purchaser. Portals should perform reasonable due diligence of all crowdfunding issuers allowed to transact on their portal including rudimentary background checks of directors, founders and the leadership team. Portals must ensure compliance with investor limits and issuer caps for all historical transactions that occur on its own portal. Portals should not advertise, provide investment advice, solicit or directly or indirectly negotiate the sale of a security without being subject to crowdfunding exemption specific dealer or advisor registration requirements. Portals should be allowed to provide escrow account services if they meet and maintain the qualifications of a compliant escrow account services provider. They should also be able to outside payment facilitation services to a qualifying third party solution provider. 16 B. Should funding portals be exempt from certain registration requirements? If so, what requirements should they be exempted from? Yes, crowdfunding portals are not Exempt Market Dealers (EMDs) and thus should not be subject to the same requirements of an EMD (e.g., regulatory capital requirement). In principle, with the issuer caps and investor limits being proposed as part of the crowdfunding exemption, portals should be exempt from registration requirements that would be considered overly burdensome or too expensive to the detriment of the portals business operating capacity. For example, the regulatory capital requirements imposed on registered EMDs may be too restrictive for prospective crowdfunding portals depending on their business model. Full KYC: crowdfunding portals should be subject to full KYC requirements, which is a similar procedure to opening a bank account. Portals should know the authentic identity of all SME issuers. Limited KYP: portals should be required to perform basic due diligence and anti-fraud checks but ultimately perform less KYP than what is required by an EMD. No Suitability: crowdfunding portals should not be required to determine if an investment is suitable for an investor or not (e.g., the investor is over 70 years old and thus may not be suitable to a high risk investment). Regulatory Capital: requiring portals to have a minimum operating capital of $50,000 seems overly burdensome to a portal that is targeting to help small businesses in an economically disadvantaged area with an average deal size of less than $100,000 and nominal transaction fee of 3%. It is anticipated that a wide range of crowdfunding portals and service providers will exist, each with their own unique value proposition, and thus ‘one size of registration requirements does not fit all’. A tiered approach would allow flexibility for adding or altering new categories to address new business models as the industry evolves and innovates. 17. Should a registrant other than the funding portal be involved in this type of distribution? If so, what category of registrant? Should additional obligations be imposed on the registrant? No other registrant should be involved. A funding portal should be able to complete a distribution without a registrant. If a funding portal has an investor that qualifies under another exemption (e.g., accredited investor), they should be able to refer that investor to a registrant and be able to earn a referral fee in connection with the referral.